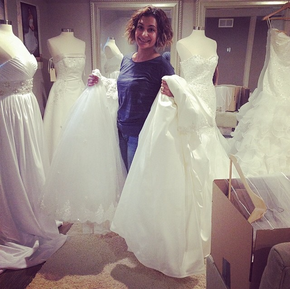 During the weeks that led up to the show, I prepared all of the gowns that we would be traveling with. They were nicely cleaned, packed and ready for the show. 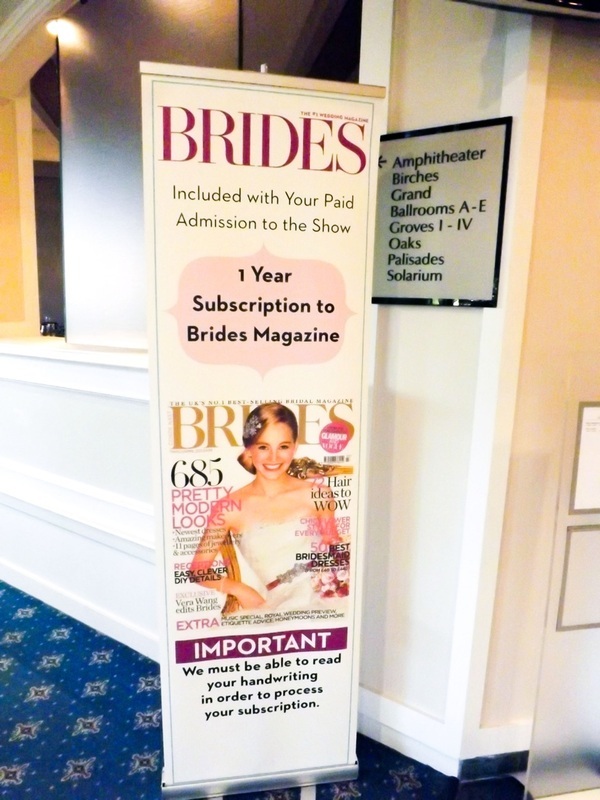 Our promotional items included flyers with our company information an exclusive discount code for brides who attended the expo as well as some goodie bags that were handed out to brides who signed up for our newsletter. We couldn’t believe how many brides were eager to sign up for it. Inside the goodie bags were the exclusive discount cards for our bridal accessories, a mini tin filled with sweet goodies, and a heart shaped cookie wrapped in plastic and tied with satin lace in our brand color. We also included a business card for our favorite wedding DJ DJLegacy. Yes, we recruited someone to help us bake and hand package each bag for a personal touch! Everything was ready to go and so we set out for a spectacular night! chance to speak with everyone, a lot of couples took the time to sign up for our newsletter anyway. been watching him for years and there is absolutely nothing that David can do wrong. Congratulations to the winner Sarah! We hope you enjoy it. Our models were eager to get on stage and show case our lovely designs. I must say, they did such a wonderful job. They looked beautiful in our wedding gowns. Standing in those heels the entire time can’t be easy so I give them so much credit for that. Thank you to the producer of the show Bosco, our models and our team for making this night possible! We had a lot of fun and the night flew by and we are very much looking forward to our next show. 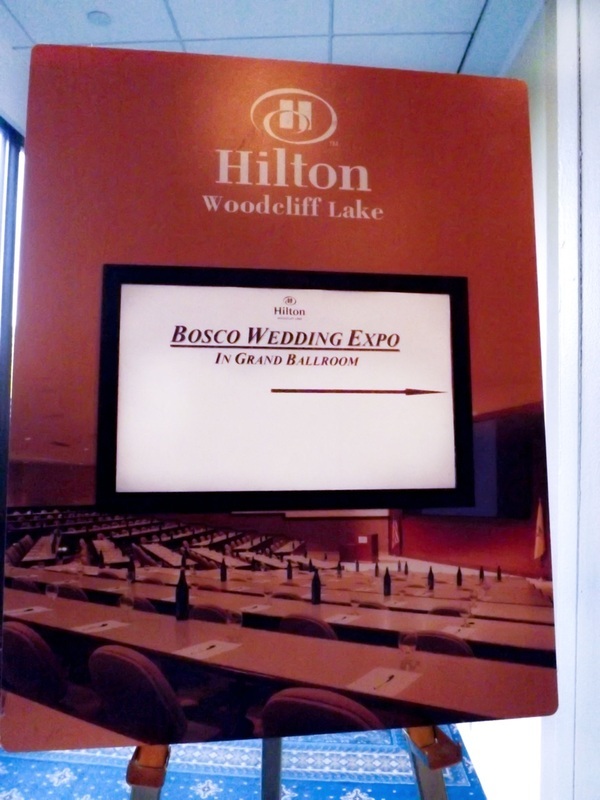 If you missed this show and are in the areas surrounding Bergen County, we will be back at the Hilton, Woodcliff Lake-NJ this coming March. Come meet us, ask us questions, get some freebies and stay informed. We are always giving things away. Stay tuned for more details. 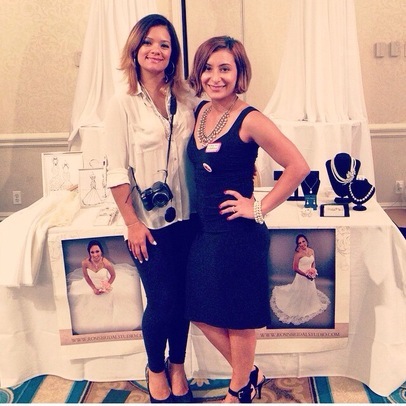 We would love to hear suggestions on what kinds of things you would love to see raffled out at bridal shows.